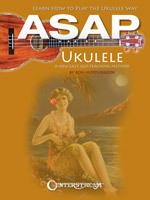 This easy new method will teach you the ukulele ASAP! 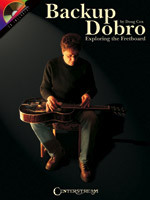 Each exercise in the book has been designed to teach you the most popular key chord combinations and patterns that you'll see in hundreds of songs. The tunes taught here include: Auld Lang Syne - My Bonnie Lies Over the Ocean - Oh! Susanna - Peg of My Heart - Red River Valley - Tiger Rag - and many more. You can strum the chords for each, or play the easy-to-follow melody. In this book you'll learn creative, fun techniques and ideas on playing backup. Playing backup means responding in a sensitive manner to singers and other musicians. So let's take a serious look at what to do when you're not soloing. The question is: to play or not to play? 84 of the most popular chords for bass guitar. 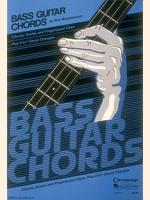 Covers: finger placement, note construction, chromatic charts, and the most commonly used bass scales. Also has a helpful explanation of the common 2-5-1 progression, and the chords in all keys. 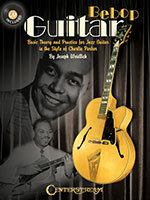 This book/CD pack shows guitarists how to transform basic jazz improv techniques into bebop figures in Bird�s famous �with strings� style by making chromatic and rhythmic alterations. Includes many musical examples, most in the user-friendly key of G major, to accommodate players not well versed in jazz flat keys. 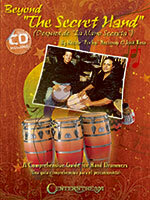 This book/CD pack is designed for the hand drummer that is eager to step up to the next level in performance. You will develop a good sound by incorporating strengthening exercises coupled with various techniques to develop strength, speed, independence, and control. Practical exercises for coordination and independence are included to help you increase your level of performance. The CD includes a performance track by Poncho and Jos�.